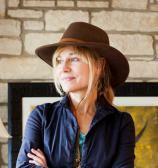 Elizabeth Crook has published four novels and has written for periodicals such as Texas Monthly and the Southwestern Historical Quarterly, and served on the council of the Texas Institute of Letters and the board of the Texas Book Festival. She is a member of Women Writing the West, Western Writers of America and The Texas Philosophical Society, and was selected the honored writer for 2006 Texas Writers’ Month. Her first novel, THE RAVEN'S BRIDE, was the 2006 Texas Reads: One Book One Texas selection. THE NIGHT JOURNAL was awarded the 2007 Spur award for Best Long Novel of the West and the 2007 Willa Literary Award for Historical Fiction. MONDAY, MONDAY was awarded the 2015 Jesse H. Jones award for fiction. Elizabeth currently lives in Austin with her family. On an oppressively hot Monday in August of 1966, a student and former marine named Charles Whitman hauled a footlocker of guns to the top of the University of Texas tower and began firing on pedestrians below. Before it was over, 16 people had been killed and 32 wounded. It was the first mass shooting of civilians on a campus in American history. Elizabeth Crook's latest novel, MONDAY, MONDAY, follows three students caught up in the massacre.